Want a good night’s sleep? Check out my nutrition Do’s and Don’t’s for getting your best sleep ever! ‘Gobble’ up the right snack before bed. We’ve all heard that the tryptophan found in turkey will help us fall asleep, which is why we fall into a food coma after a Thanksgiving feast, right? Well….sort of, kind of…okay not really. 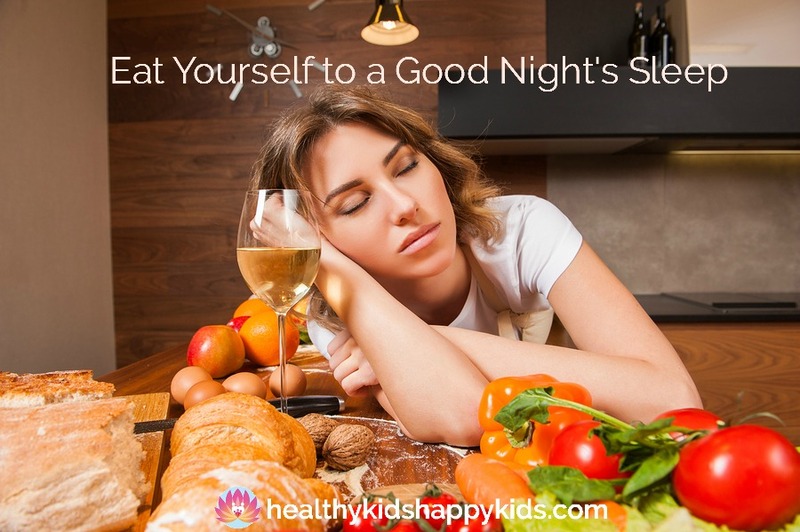 While it’s true that tryptophan, which is found in dairy, turkey, chicken and fish, can help your body make those ‘sleepy happy hormones’, leftover turkey right before bed isn’t a magic pill. You’re better off eating your tryptophan foods throughout the day, and then eating a small, carbohydrate-rich snack (keep it under 30 grams) to boost serotonin before bedtime. Studies have shown that this CAN help with sleep! Good nighttime snack choices? A small piece of cheese with a few whole grain crackers, one or two cups of popcorn, or a slice of toast with a tablespoon of almond butter and sliced banana. Got Milk? Calcium is a sleep powerhouse! It helps us make melatonin – our critical sleep hormone that tells our bodies when to fall asleep and when to wake up. Studies have shown that folks who don’t get enough calcium have disrupted sleep cycles and don’t get enough REM sleep. But there’s no need to warm up a glass of milk before bedtime – just make sure you are getting enough calcium throughout the day. And if you don’t like milk or can’t eat dairy – don’t worry! There are tons of non-dairy calcium sources you can nosh on like dark green leafy veggies and fortified nut milks. Chocolate Fixes Everything! Okay, now that I have your attention – what I meant to say was that chocolate is a good source of magnesium, and magnesium can help you sleep better. I tricked you – not nice :-). Magnesium has been shown to lower cortisol levels (our stress hormone), increase melatonin levels and improve sleep quality and quantity. Foods that are rich in magnesium include lentils, nuts and seeds, whole grains, dark leafy greens and yes… chocolate. Melatonin to the rescue! As mentioned above, melatonin is super important for sleep. It is a hormone produced in our pineal gland – a tiny little gland in our brains – that helps to regulate our sleep ‘clock’. How can we boost our melatonin levels naturally? There are several yummy food sources of melatonin like: orange bell peppers, walnuts, flax seeds, almonds, raspberries, goji berries, tomatoes, and even spices such as fenugreek and mustard seeds. Studies show that eating fresh cherries (sour is better!) or drinking tart cherry juice can boost melatonin and improve sleep! Try an ounce or two before bedtime – it really works! As if I need another excuse to eat a huge bowl of cherries! How about a cherry almond milk smoothie? A double sleep whammy! Limit how much alcohol you drink. I know…I know…that bottle isn’t going to finish itself, AND a glass of wine can sometimes help you fall asleep quicker. But drinking alcohol reduces our restorative REM sleep cycle, and also results in more disrupted sleep during the second half of the night. This means less overall sleep! If you want to feel refreshed in the morning, skip the nightcap and settle down with a warm cup of chamomile tea instead. Avoid eating spicy and fatty foods right before you go to bed. These foods can be difficult to digest, causing reflux or bloating and discomfort – keeping you up longer than you like. Not fun. Caffeine is my best friend for a reason! When you’re dragging, a cup of java or green tea is perfect, but switch to decaf after 3:00pm if you’re having a difficult time falling asleep at night. Roiboos Tea is one of my favorite ‘stronger’ flavored herbal teas. Add a splash of unsweetened almond milk and a drizzle of honey for a late afternoon ‘pick-me-up’ that won’t keep you awake later on. Now eat right, sleep tight, and don’t let the bed bugs bite! 🙂 Good night! You are so inspiring!!!! Just love you and tell everyone what a blessing you have been to our family. Honored to know you Dr. Song!